Mark Carney is now shrugging off concerns about Canada’s housing market. As he steps up his battle to contain Britain’s rapidly growing house prices, Carney’s track record in Canada is coming under more scrutiny. And he’s fighting back by suggesting that Canada’s problems are peanuts next to those in the U.K. 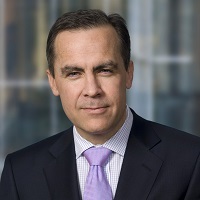 In an interview with Sky News, Carney, the former Bank of Canada chief and current Bank of England governor, said that “we could do more” to keep a lid on the British housing market, including limiting certain types of mortgages and ensuring individuals could afford loans at much higher interest rates. For his part, current Bank of Canada Governor -- and successor to Carney -- believes the Canadian housing market will experience a soft landing. Poloz credited smarter lending habits and more careful underwriting. “We are observing, anecdotally at least, an increased awareness of this risk. Consumers are showing responsibility; for example, home buyers who opt to buy less house than they qualify for so they don’t find themselves overextended if interest rates rise,” Poloz said at the time. “Banks, as well, are underwriting loans more carefully, ensuring that people can service their debts if rates go up.